This is a 57 year old male with pleural mass. Histologic Description: This is a well delineated spindle cell neoplasm. The lesion demonstrates variable cellularity. The neoplastic cells have angulated, “club-shaped” nuclei, and focally demonstrate palisading consistent with Verocay body formation. Other areas of the lesion are hypocellular and associated with ectatic blood vessels. 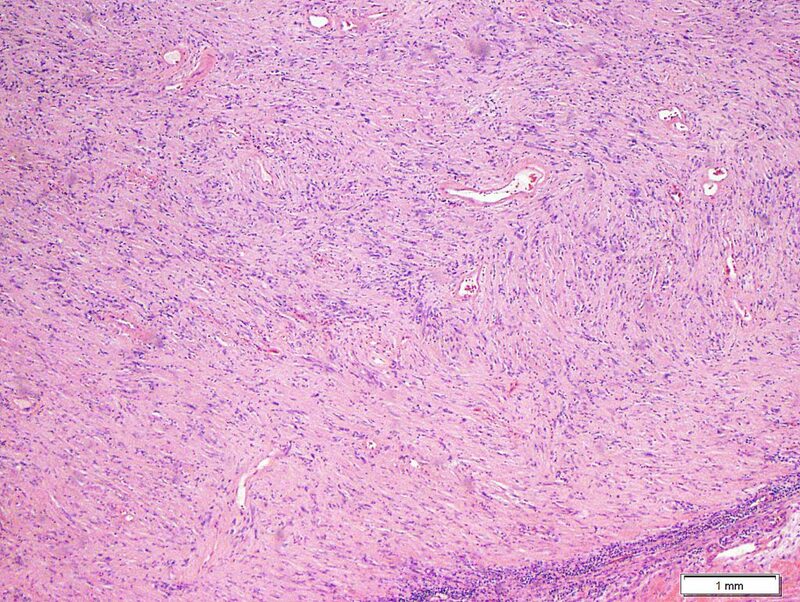 The lesion was diffusely immunoreactive for S100 protein, supporting the diagnosis of schwannoma. 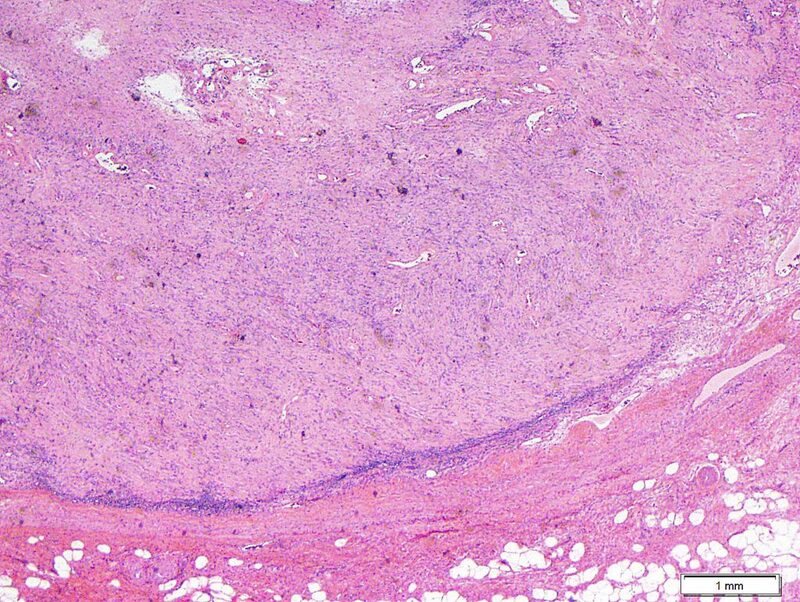 Differential Diagnosis: Solitary fibrous tumor would demonstrate more hemangiopericytomatous vasculature, greater collagen production, and would be diffusely positive for CD34 but not S100. 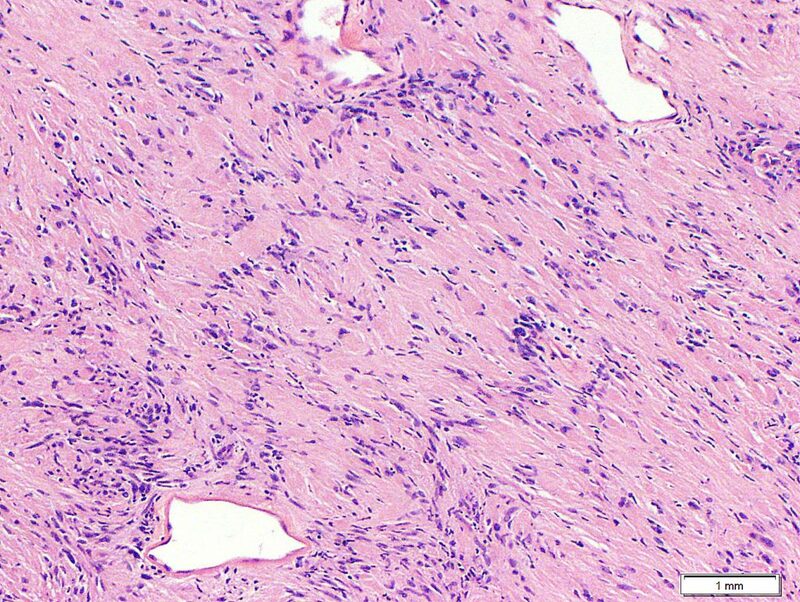 Sarcomatoid mesothelioma would not be well delineated, would demonstrate greater cytologic atypia, and label diffusely for cytokeratin. Thymoma frequently metastasizes to the pleura; however, the spindle cells would be associated with immature lymphocytes and label diffusely for cytokeratin and p63.